Capt. 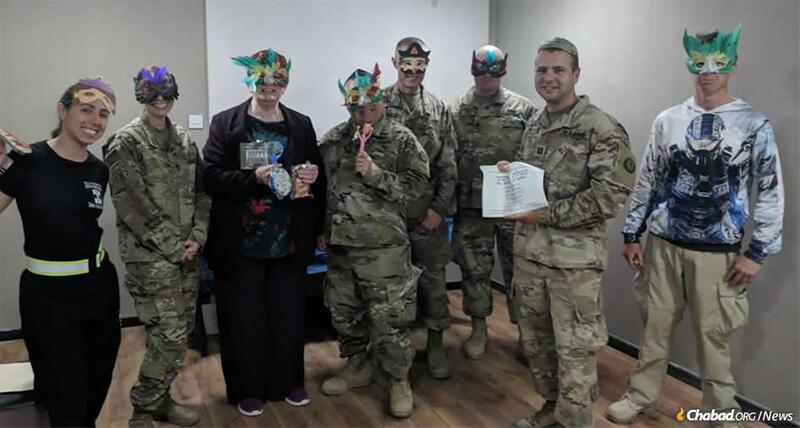 Sanford Cohen, second from right, held a Purim celebration in March at a U.S. Army base in Kuwait. This week, he will host a Passover seder. “When you don’t know if the bullet that’s being fired has your name on it, the ability to do more mitzvot ... takes precedence over other projects,” said Cohen. 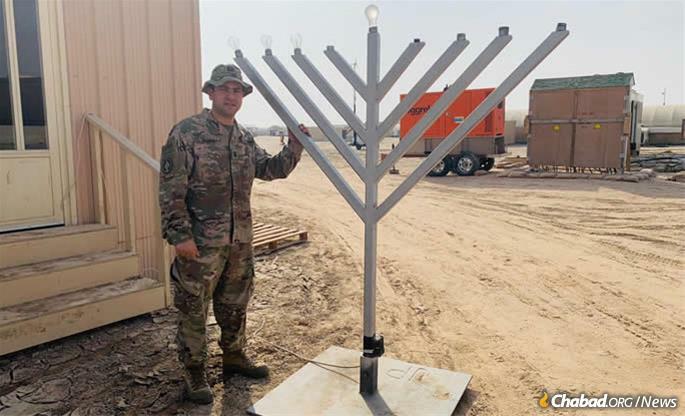 Stern, stationed at Fort Sam Houston in San Antonio, Texas, is preparing for deployment to serve as the rabbi for troops in Afghanistan during Passover. 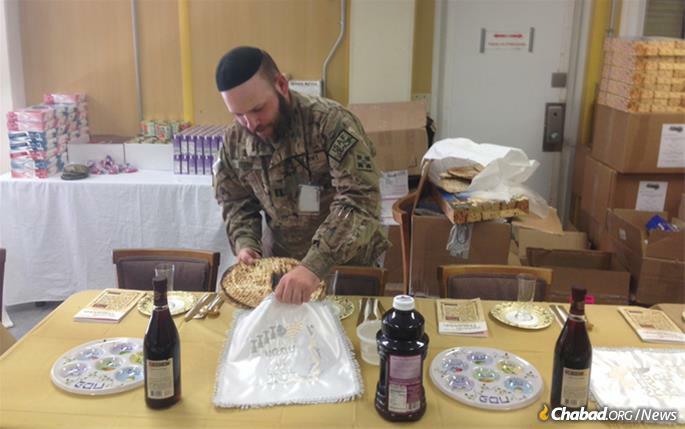 This will be his second Passover deployment and his sixth deployment overall. Cohen in Kuwait with the menorah he obtained with the help of the Aleph Institute.